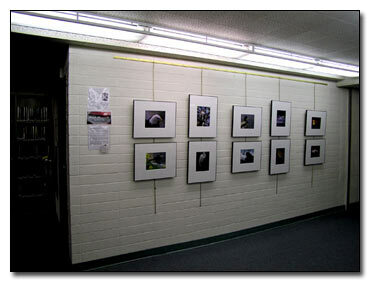 Your town library is a good place to start showing your photographs. The library will give you great exposure, does not take a percentage of any of the photographs sold, is a non pressure environment and a good starting point for you. The library will also promote the exhibit in the newspaper. I also approached our town nature center. They mailed an announcement of the exhibition to all their members. 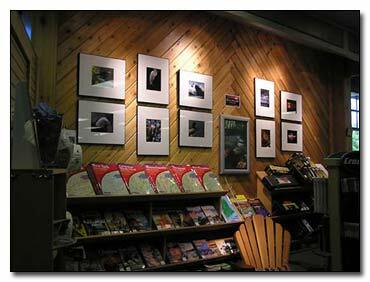 In return, I donated 25% of the sales of the photographs to the nature center. This gave potential buyers another reason to purchase a photograph. The nature center also promoted the exhibit on our local public TV. Everyone at times, (including myself) has excuses why not to try different ideas and the underlying theme is usually failure. Once you decide that "Failure is not an option" and any failure that comes along is one step closer to success, you are on your way. If you are happy with photography as a hobby, then keep it that way... enjoy it for what it is and don't try to sell your photographs. No one needs any additional pressure on something that you enjoy. But there is one feeling that you will never experience and that is "Knowing that someone bought one of your photographs, took the time to frame it and hung it on their wall." And somewhere out there your photographs are being seen each day. "If you don't try, you will never know... and when you do know, you will understand that feeling." You can't sit back and expect to be known without being creative and getting the word out about yourself. After I had the photographs framed (cost about $220.00 including photographs and hangers), the investment was made. Any benefit that could be achieved after the investment was spent was a bonus and at the same time created a cost/benefit advantage over time. 1. Drive by the libraries and outdoor retail stores in your area to see if there is an area in the library/store that could display an exhibition of yours. Even if the place has never done something like this, they will appreciate a suggestion from you. My second exhibition was fortunately being displayed in the optics department in a outdoor retail store. 2. Frame your photographs with the same gallery frames. Do not mix frames. My photographs are 8"x10" and the frames are 16"x20". 3. Create a title for your exhibit (seen in the center of the photograph) along a bio with pricing. If you can, laminate the title and bio. The bio also includes the Outdoor Eyes website URL. I also created a little pocket made from cellophane that I placed my business cards in. 4. If you have other photographs to offer, create a little book of other photographs that customers can look through to purchase. I have a binder machine that creates a book, but you can go to Staples, Office Depot or any print shop and they will create a book for you with your pages for about $2.00. I printed all my additional photographs available on photo paper with 9 photos on a single page. 5. Do not sell the framed photographs off the wall. These are only to take orders from. The retailer will process the orders and also take a negotiated percentage of the sale. Usually the exhibit will run for a month. A library will only display your photographs. They will not sell your photographs. 6. If the retailer sells your photographs, then you can talk to the retailer about an additional length of time for your photographs to be displayed. 7. Search the Internet for all the newspapers and magazines in your area. Go to the calendar section and send a press release to the magazines and newspapers. This must be done at least 2-3 weeks prior to your exhibition. 8. Once you have one month booked for your exhibition, then you should look for your next month's exhibition. 9. The framed photographs are already paid for, so your out-of-pocket expense in only your time spent and a little gasoline. My last exhibition took a total of 2 hours to hang and drive to. You can continuously use the same photography book and the same framed photographs over and over again. 10. Take photographs of the exhibition so that you can show potential places what your exhibition will look like. Good luck with your exhibitions.